The Ferrari California T is the first Ferrari Gran Turismo with a mid-front 8-cylinder engine: a vehicle that uncompromisingly combines sportiness with versatility, guaranteeing the maximum driving pleasure characteristic of cars from Maranello. 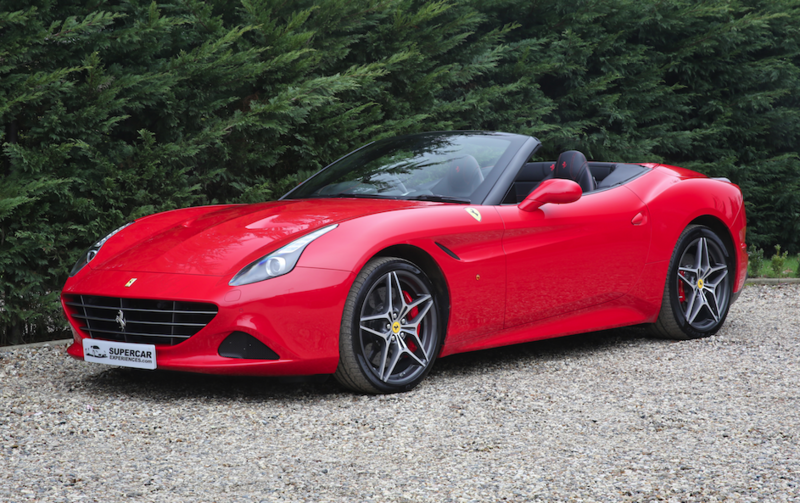 The Ferrari California T is a convertible GT with retractable hard-top, making it a car with a dual soul: coupé and spider rolled into one. It is based on the original 2+ concept, which provides great flexibility for use in different driving conditions. First front mounted V8 Ferrari ever and even has a hard folding roof and 2 back seats....what more do you need? Our bestseller by far. Great for Weddings, surprise birthdays and special occassions. The Ferrari 488 GTB continues to go from strength to strength and has garnered over 30 international awards in its short career. Yesterday, it added two further plaudits to that collection at the International Engine of the Year Awards when its V8 was voted “Best Performance Engine” and “Best Engine Above 4 Litres”. 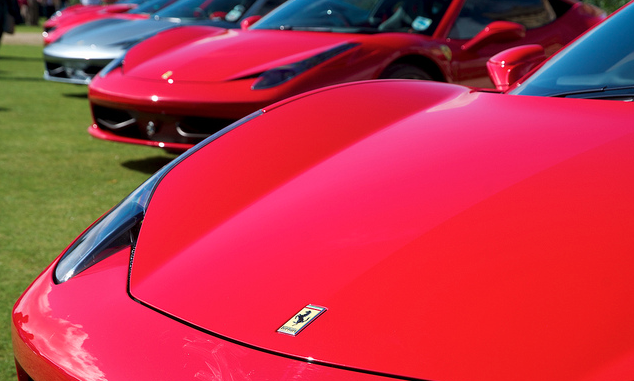 The success being enjoyed by the 488 GTB with both critics and public alike crosses all borders– it has won awards in a host of different nations from the USA to the Far East and Europe. In the US, the mid-rear V8 was named "World Performance Car of the Year". 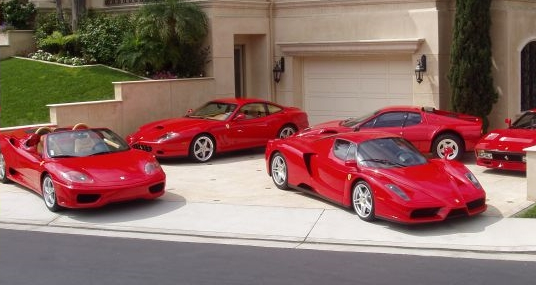 The Ferrari 360 was all-new in 1999 and in 2003 Spider convertible body styles were introduced. They were powered by a mid-mounted 3.6-liter V8 that pumped out a raucous 400 horsepower at 8,500 rpm. The all-important 0-60-mph sprint was accomplished in a few ticks north of 4 seconds. This Ferrari set the bar for other "lower-end" supercars by providing blistering performance, ethereal steering, superior ride and tenacious grip. It doesn't look half bad either, and who can argue with a car that proudly presents its engine under a glass hood? 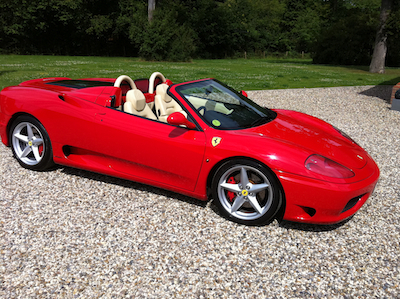 This is one of the best selling Ferrari's we hire! Rosso Red with Cream electric seats, Semi-Automatic (paddleshift), 400BHP 3.6 V8, I Pod Connection, open top motoring at its finest!